Hagen Bogdanski is a German cinematographer who has been working in his country’s film and television industries since the mid-80s. He is best known for his work on films like The Lives of Others, Young Victoria, and The Physician. 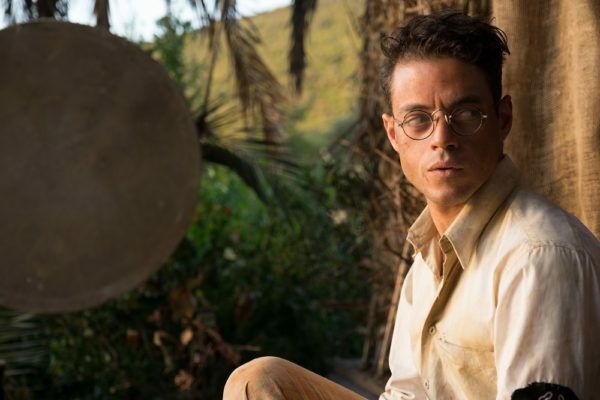 His latest movie is the biographical drama Papillon, which is set to be released on August 24th, 2018. Mr. Bogdanski, thank you so much for taking the time to speak with me. I’ve actually never talked to a cinematographer before, so this is an honor. I promise it will not hurt [laughs]. So no worries. Now I’ve always said that cinematography is the most important aspect of filmmaking. You can have a movie with bad direction, bad writing, bad sound, bad sets, and so forth. But you just can’t have a film with bad cinematography. If a shot is out of focus or too poorly lit, then no one can watch it. Despite this, I don’t believe cinematographers really get the recognition they deserve. You have a select few like Roger Deakins and Emmanuel Lubezki, but most of the time the director is given credit, like with Stanley Kubrick over John Alcott or Orson Welles over Gregg Toland. What are some things the industry should do to increase awareness for cinematographers and their craft? Well first of all, I think obviously, as a cinematographer, you’re second in command, so the attention goes to the director and the actors. This is a given. To increase the attention from the public, all we can do is to speak with people like you and to say “hey, here we are.” That’s what we’ve done here, and that’s what I’m looking for in the future: to spread the awareness of the craft in the media. It’s the most important thing to do. That makes sense, that ultimately it’s the media that dictates who gets the spotlight. Now you started off your career doing a lot of television movies and serials before transitioning over to feature length films. I’ve talked extensively to actors and composers over the dichotomy between the two mediums, but as a cinematographer or director of photography, what is the biggest difference for you between doing television vs film? Is it budgetary, is it time, is it pressure? 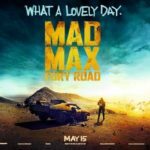 In the feature film world, you have the luxury of a better budget and more shooting days, which comes together with better technical possibilities of shooting a shot. Television is charged. I mean, you shoot 60 minutes in let’s say nine days, whereas for a 120 or 150 minute feature film, you have 50 days. So, you get to form a much stronger relationship with the project. And that’s why with television you’re on the run, but with a normal feature film, you have the time and luxury to compose a shot, to talk to the director, and talk to the actors. That’s basically the main difference. Right, time is the biggest issue when it comes to setting up a shot for sure. How limited are you by the director? Cause I don’t think people really understand the relationship between the director and the cinematographer- they believe you have to do whatever the director tells you. But that doesn’t sound like it would make for a healthy crew relationship on set. It depends on the director. There are directors out there who are very knowledgeable in technology, and they can say “okay, let’s take a 32 millimeter lens here and do this and that.” And then there are directors who have no technical knowledge at all and they don’t want to bother with it, and so then you have the complete freedom to do whatever you want. So, everything is out there and you can get both. It’s up to you, as a cinematographer, to figure out what you prefer and then choose your perfect project and director. I enjoy both, because I learn from both. But, in general I think, like in every good relationship, everyone has their own field and everyone works in their own field and then it comes all together and it gets better. And so, really, it’s like forming a good marriage. No, that’s a good analogy. I understand that a healthy relationship obviously breeds a much better film. Yes, if the director is concentrating on working with the actors or the scriptwriter or, in the television world, with the showrunner and the producers, it makes more sense that the cinematographer can be in charge of the crew or the technical crew or the lighting or working with the operators, or even operating the camera by himself. It’s a completely different field. And yeah, there are some guys out there who try to do everything but, in general, I think it’s better that you do what you do, you do what you can do, and then you get the best of both worlds. You mentioned that you have to work with the crew. And I know that earlier on in your career you didn’t start off a director of photography, but instead took on multiple roles related to the cinematography department. You jumped between assistant camera, gaffer, focus puller, and so forth. 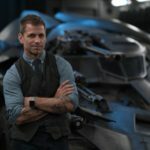 For aspiring cinematographers, would you recommend them learning these different crew roles before becoming the director of photography, or is it possible to jump right into that role without extensive hands-on knowledge of the other fields? A difficult question, but a good one! I think both are possible. You know, I went up the trade, and the reason was quite simple- the German film school rejected me. So, I was applying for film university, and they rejected me, so I went above the system, made it through the ranks and then was quite successful. But I think in the opposite, if you get accepted by, let’s say, your film university in L.A. or Germany or wherever, and you’re talented and you listen to what your teachers or your director says, then it’s also possible to skip all the years of assisting and gaffing and operating and become a director of photography after you shoot 10 short movies or 20 commercials or two low-budget feature films or whatever. So I think both are possible. Right now, the tendency is that the people are choosing more second-wave, so they go to university and they are cinematographers without being anything else before. That’s just the trend right now, but hey, the other way is cool too. So I believe both are possible. No, that’s right. The industry shifts course over the years and aspiring students will have to learn to adapt accordingly. 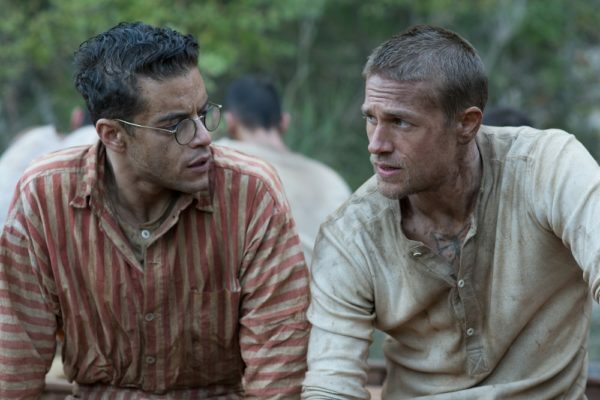 Now let’s talk about Papillon. This is a biographical film about a French convict who escaped from prison multiple times. 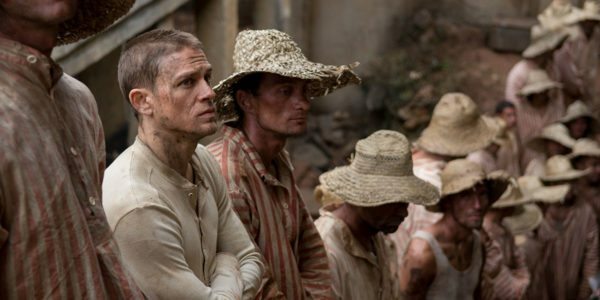 Given that this concept of prison break has become a trope, I’m wondering, when it came to shooting the movie, did you take inspiration from any other classic prison films like Cool Hand Luke or Escape from Alcatraz or even the original Papillon? No, I tried to avoid them, even though, as you said, all these prison movies are a genre. We didn’t even look at the original Papillon outside of a couple of scenes. 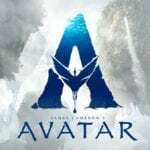 I think it’s a good movie from a story point-of-view, but everything else is very dated: cinematography, costumes, art direction, everything just feels aged when you watch it. And our context was to modernize it, to bring it to a younger audience. Because, as I said, I think as a young kid or even as a young adult you look at Papillon and you think “oh my god, this is very old school Hollywood.” And so that’s all. I never looked at the old film, and we tried to go our own way, the director Michael Noer and myself, to modernize it. And unfortunately I haven’t seen it myself, but based on the trailer, I can say that it’s a very beautiful film. You’ve done a great job as usual at making it look terrific. It’s nothing. And a lot of it seems to be set outdoors, so tell me what it was like to incorporate natural lighting into the film. Because I know that’s something that’s difficult to do, but also rewarding when pulled off. This film was shot entirely on location. We just built one cell where [Henri “Papillon” Charrière] went at the end of his prison life; they put him into a dark room with no light. So he was in total darkness for one year, which became like physical torture by the end. This was built in a warehouse in a studio lot. But everything else was on location. For instance, the prison was built on top of a hill in Montenegro, which is close to Greece. There was no CGI work necessary because it was surrounded by real nature: we actually had to build a road to the mountains because there were no roads at all in the vicinity, and so it was quite an adventure. But everything you see was shot outside during the day and on location. And it was natural light, which could be a problem because production started late and we experienced a little bit of weather conflict by the end of the year, specifically the rain: we would often have to stop for half a day, and stuff like that. But shooting on location really was a core part of our concept for the film. And the other part was to shoot everything handheld with two cameras and not to rehearse the scene. The director had a background in documentaries, and he would say “okay, I don’t want to rehearse this, I want to shoot the rehearsal.” This is a little bit of a nightmare for every cinematographer in the world, because then, suddenly, everyone has to improvise. I was a little afraid of shooting like this, but after a while I really loved it because this was definitely the most important part of modernizing a period drama, and it infused the scenes with energy and spontaneity. It was great to shoot it this way; it was a little risky, but still I think it was a great way to do it. And I think the results definitely show, when you see that footage and how sharp it looks and gorgeous the locations are. You don’t have to rely on close-ups to hide the fake background- you can show audiences the whole area and give them a sense of the prison this guy is supposed to be in. Exactly! I think this was one of the concepts, not to stay only in close-ups, but stay within this brutality of the prison and the surroundings. There’s still beauty in the landscape and the light and water and everything that counterbalances the torture and brutality. I think that if you look at two hours of torture, it wouldn’t be a good idea for a feature film. So we had a principle idea to counterbalance the real brutal prison conditions with some beauty, at least in the landscape and the light. I can’t wait to see it just because of your work. When you see that much effort put into a project, you want to reward the filmmakers and crew for the job they did. Now, I know you’ve done a lot of fictional films and a lot of movies based on true stories like obviously The Lives of Others which was based off true accounts from East Berlin during the Cold War, and Papillon is a biopic as well. Does your approach to your craft change based on whether it’s fictional or not? No, the approach doesn’t change. I mean, you do research, even though the cinematographer doesn’t necessarily have to. Let’s say you shoot a film about East Germany like The Lives of Others, then you do your research. It’s always the same. But if it’s fictional, the research is limited, But still, if you shoot a fictional film or half-fictional film like Papillon , you try to read the book. I think you should try to do your homework as much as possible, and then you go out and find your own language and try to find your own movie. I think that’s a philosophy that not just cinematographers, but other film set members should take when they’re in this industry and have work between different projects. But thank you again, Mr. Bogdanski, for taking the time out of your day to speak with me. I know how busy you are with all these feature movies. Oh, no problem. Thank you for inviting me for this and good luck to you and success within your career! Flickering Myth would like to thank Mr. Bogdanski for chatting with us. 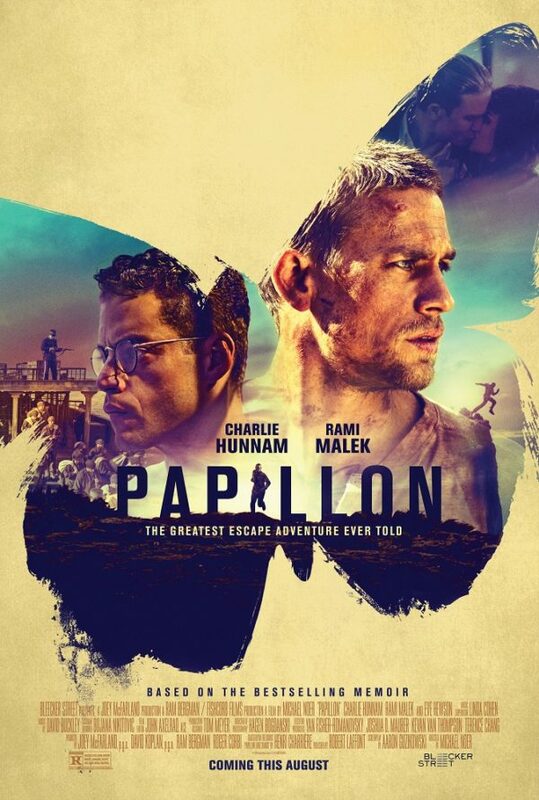 Papillon will be released in the U.S. on August 24th, 2018.